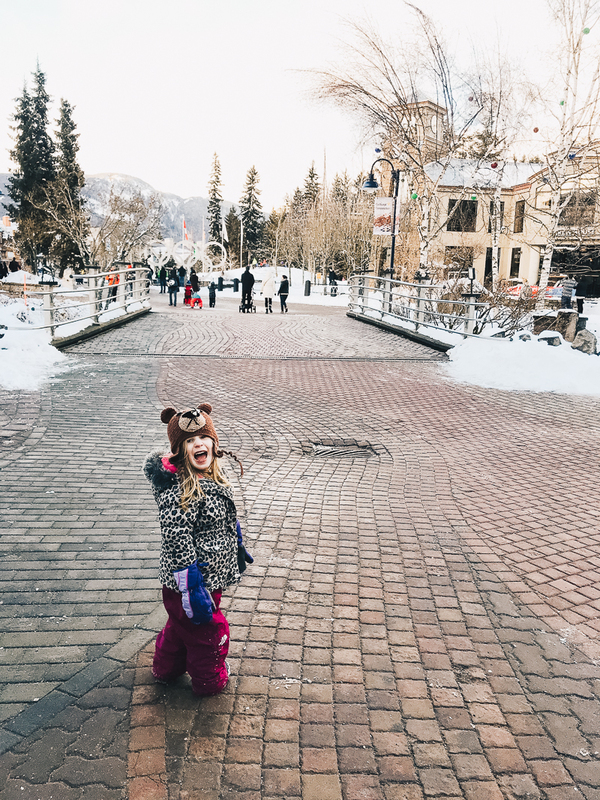 Adventuring With Kids: Planning a Ski Trip! This year has continued to be a whirlwind! Clara’s digestive/health issues are still a concern for us and now Tim has been sick for a few days, too… Plus we just returned from another vacation a few days ago. I haven’t had time to sit down and catch my breath and the laundry is piling up as I type this! Priorities, though: blog, then laundry. 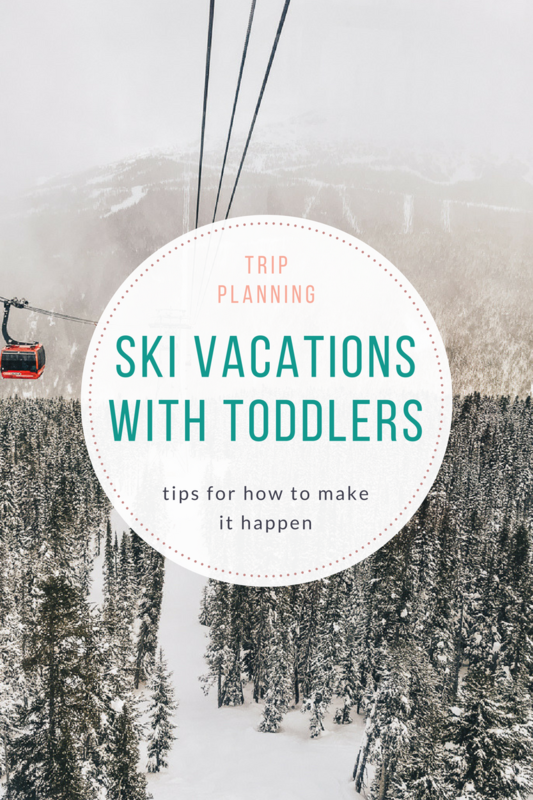 BUT, I want to rewind back to our Whistler trip to share some tips about how to vacation at a ski resort with toddlers (or young kids). I think a lot of families wish they could do more adventurous vacations with babies/toddlers/young kids, but are intimidated to try it, or think it’s impossible. Obviously, the easiest way to go on a skiing vacation as a family is to either put kids in ski school, ski with them, or bring along grandparents who don’t want to ski and would rather watch your kid(s) instead. However, those options aren’t feasible when you, like me, have a three year old and one year old, and no grandparents who are easily accessible for a babysitting gig. But with a little planning, a ski vacation can still happen! Hotels on the ski slopes may be a thing of the past for you, unless those hotels have a bedroom and a kitchen. At least for us, we’re all about the Airbnb life! This past trip we rented a house with five other families, and it was awesome. We had a hot tub, we had all of the comforts of home, and we had room to spread out and socialize once the kids were (finally) asleep. + Prepare meals ahead of time. Do you know what you might not want to do after a long day of skiing? Wrangle your kids into a restaurant and expect them to sit still! Or attempt to prepare a dinner yourself. Take-out is your friend! But also, if you’re only going to be spending a quick weekend on the slopes, it may be worth it to prepare a few meals ahead of time for breakfast and dinner. Egg casseroles, baked oatmeal, baked pasta… prep it ahead of time and bring it with you! We put both kids in the Whistler Daycare program, and it was great! I will say, though, it was pricey. We spent $100 (CAD) per kid, per day. The drop-off was right at the base of Blackcomb and the process of drop-off and pick-up was super easy. Another option (which we utilized last year) is to hire a babysitter through Babysitting Whistler. This is the cheaper option if you have more than one kid, but our experience wasn’t so stellar. However, other people RAVE about their experiences, so maybe we just got a new(ish) babysitter. The kids survived and had a great time, but they didn’t seem to be as responsible as the daycare service, in my opinion. (I could go on about the hilarity of what happened with these sitters, but I don’t want to scare people away from this option!) Most ski resorts offer similar childcare options. + Plan some fun in the snow. We skied two days, but left one afternoon open to play with the kids in the snow. Of course, they didn’t last as long as we had hoped before full toddler meltdowns occurred, but I did get a few pictures of them on a sled! My main objective was to make sure we had a few hours to spend as a family so they wouldn’t view the entire trip as us ‘abandoning’ them to ‘snow school’. + Understand cancellation policies and prepare for possible chaos. As usual, if you’re going to travel with toddlers, make sure you have some backup plans. Normally I’m a fan of planning ahead when it comes to vacations, but I had a lot of anxiety going into this particular trip. We had to pay for the house and daycare ahead of time, which made me worried that we’d be out a ton of money if one of the kids got sick and the trip couldn’t happen. If you’re planning an expensive trip (as all ski vacations are), I would be aware of the cancellation policies and try not to purchase things way ahead of time. For instance, we didn’t buy our lift tickets until the night before we went skiing – so we paid full price. Yes, it would have been cheaper to buy them ahead of time, but our girls had been sick leading up to the trip, so I wanted the peace of mind that we wouldn’t be wasting hundreds of dollars on lift tickets we couldn’t use. In the future I’ll also be flying Southwest when possible (because they refund tickets as credits if you don’t use them) and booking Airbnb houses with as flexible of a refund policy as possible. + Don’t be afraid to go! I was really nervous for both ski trips we went on last year because I had the additional hassle of pumping along with all of the other things to think about. However, we had a blast at both Park City and Whistler! This year’s Whistler trip was even more fun because the girls are older and I didn’t need to carry around a breast pump in a backpack all over the mountain! Next year (hopefully) Clara will be in ski school for part of the time, which means we’ll have a little less money, but will hopefully have a lot more fun as a family doing something we all love! The point being, it is very possible to go on adventures with toddlers, and having a baby doesn’t mean you need to stop going on active vacations. 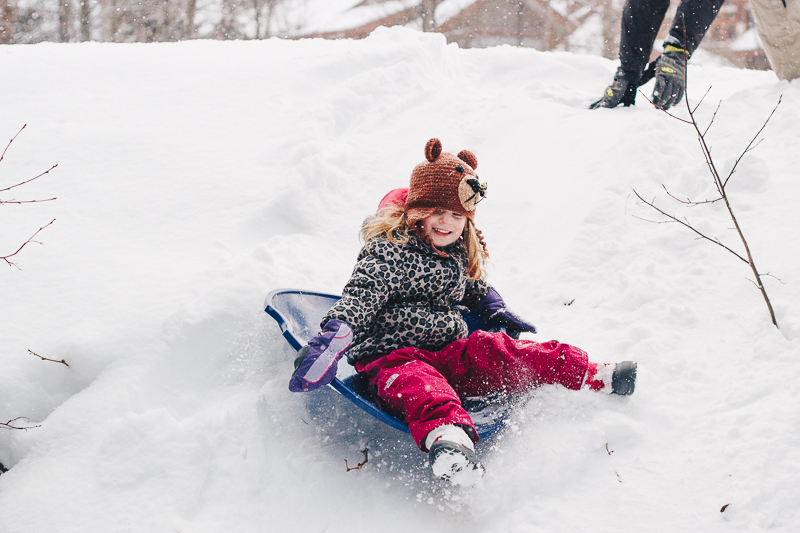 With a little (okay, a lot of) extra effort, you can create some great memories as a family, and even escape your littles for a bit of peace on a mountaintop! Have you ever gone on a ski trip with your small kids? Do you have any tips?! This entry was posted in adventuring, travel and tagged adventuring, skiing, travel, whistler. Bookmark the permalink. 6 Responses to Adventuring With Kids: Planning a Ski Trip! I’m not sure whether my kids just never had stranger danger or whether it’s just that we left them and didn’t care about their preferences – haha! Now they have zero loyalty to us and we are able to leave them with whoever! That’s part of Emmy’s problem… she had to be at home and only held by us for so long to keep her healthy that she has a hard time trusting other people and sobs if we leave her. Bensen has similar issues due to that year that we had him quarantined with Emmy (ok, so it wasn’t a whole year), but he does a lot better than she does. I love how often you guys get up & go. I think it’s super special that you spend time with friends and rent out whole houses or areas for your families. Your trips always sound like so much fun!! I love that you shared that it’s important to go! We go to Breckenridge every other year, and next year our baby will be 11 months old. My sister-in-law has volunteered to watch her while I ski for a day or two, but I am still stressing a little. My husband and I have such a routine when we travel, things are about to be turned upside down for a little while, but I can’t wait for our family adventures! Ohhhh Breckenridge is so fun! I’m jealous you’ll have a “babysitter” with you! You’ll have a great time!